Shoot The Zombirds is a Android apk shooting game with arrow with HD quality and I am sharing the mod version with unlimited everything free. I Know most of the people like 3d shooting game like Modern Combat or Dead Trigger. 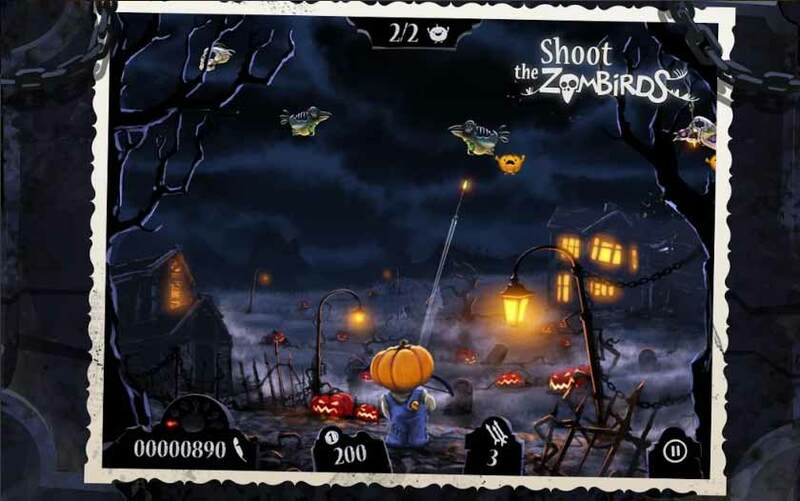 But today I am sharing another game name Shoot The Zombirds. It is with HD quality graphics and with awesome background music. For the best quality music you must have a headphone. The main game play of this Shoot The Zombirds game is You are a farmer and you have to save your pumpkins with your arrow. And your enemy is evil Zombie birds or bugs. You have to shoot them and have to be careful they didn't always keep pumpkins - so you have to be careful when they take shoot them. There are so may levels to complete and after you go to the next wave the enemy become stronger and comes new type of enemy. Complete the challenge to go to the next challenge. This game is developed by Infinite Dreams and and updated with no bug. 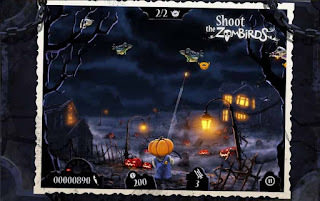 Shoot The Zombirds Mod Apk Shooting Game is so addictive for android. Most of people didn't know this type of quality games and missed one of the best moment. 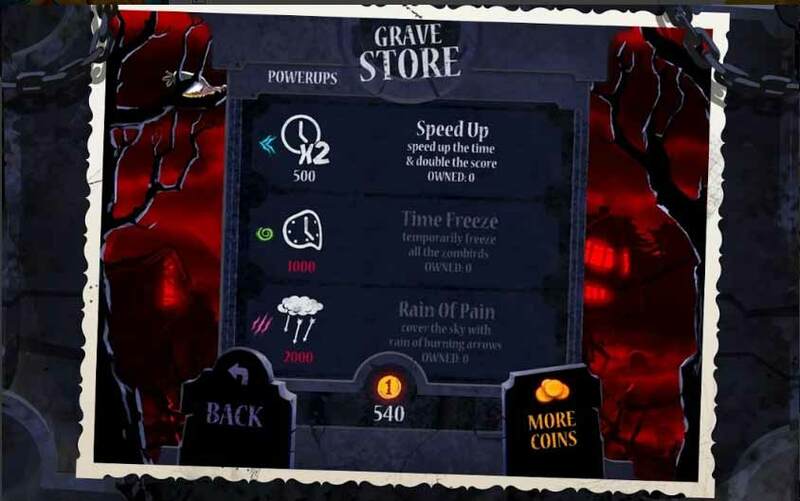 Go to Groove store and upgrade your arrow, pumpkins and other things to play last longer. You can instantly go to the fury mode if you continuously shoot 6 zombies. In fury mode if you shoot the zombie birds they will by burn completely. In this mod game you can buy everything unlimited. Things game is completely free in Google Play Store. 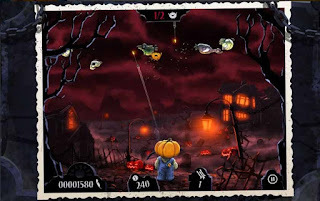 Go here to download Shoot The Zombirds normal version. 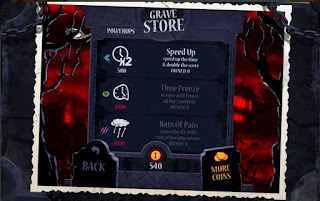 If you want to download the mod version of this game you may go here Shoot The Zombirds Mod Apk with unlimited money and everything. It is 35mb total and support in every Android version. So you can play this game with no doubt. But If you fail don't forget to comment or message me.